September 17, 2009, New Delhi -Ban Asbestos Network of India (BANI) appreciates and welcomes US Surgeon General Steven K. Galson's statement acknowledging the dangers of asbestos and calls upon the Indian Ministry of Health and Family Welfare and Ministry of Commerce and Industry to initiate steps for immediate ban on use, manufacture and trade of all forms of asbestos (including Chrysotile or White Asbestos). 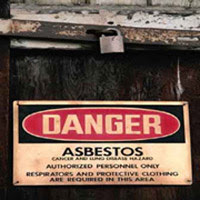 Illustrating the same Kerala State Human Rights Commission has noted that exposing workers and consumers to asbestos fibers of all kinds including chrysotile constitutes violation of human rights in its order dated 31st January, 2009. But Indian government continues to put commercial interests of asbestos industry ahead of health and the environment of Indian citizens. Despite the asbestos disease epidemic in US, Europe, Australia, Japan, South Africa and elsewhere, a recent document titled "Human Health Risk Assessment Studies in Asbestos Based Industries in India" by Central Pollution Control Board (CPCB), Union Ministry of Environment Forests has failed to recommend ban on asbestos. 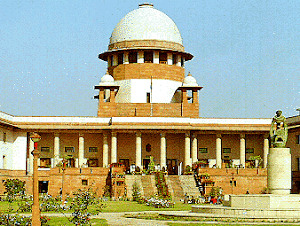 The study reiterates the Supreme Court’s order by asking Medical examination record should be maintained and stored for a period of 10 years following the termination of employment, or for 40 years after first day of employment, whichever is later. In order to comply with the recommendations contained in IS:11451-1986 (i.e. Bureau of Indian Standards Recommendations for Safety and Health Requirements Relating to Occupational Exposure to Asbestos), employer should stop existing practice of employment of temporary, contract workers or daily wage workers. Such recommendations have not been complied in a contemptuous manner. The study was undertaken by the Industrial Toxicology Research Centre, Lucknow for the CPCB. The foreword by Chairman, CPCB reveals the alarming fact that the indigenous asbestos is mostly used by the unorganized sector. Clearly, ban on asbestos mining has not been implemented in totality. The political patronage enjoyed by the industry is an open secret. BANI has written letters to the President, Vice President, National Human Rights Commission and the Defence Minister (armed forces use asbestos as well) drawing their urgent attention towards a serious unprecedented environmental and occupational health crisis with regard to unnoticed asbestos epidemic in the country. Even if one asbestos fibre reaches the right place, it causes irreversible damage - leading to asbestosis, lung cancer or mesothelioma. Thirty deaths are caused per day from asbestos-related diseases as per estimates based on US and European studies. Russia, Canada, Kazakhstan, Zimbabwe and few others are the largest exporters of asbestos and BANI along with the trade unions are concerned about Indian government's apathy for the occupational and public health of citizens and workers in India. Further the massive unethical advertising campaigns in India are underway to make people believe that asbestos is safe, while the facts state the contrary. There is incontrovertible evidence that creates a compelling logic for making India asbestos free. The asbestos exporting countries in liaison with the Indian asbestos industry in collusion with government has unleashed a misinformation campaign about the mythical safe and controlled use of asbestos products, unmindful of the fact that so far some 50 countries have banned all forms of asbestos, and are already using alternative materials. 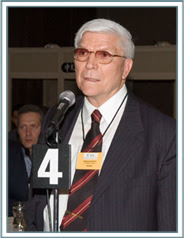 Almost every international health agency of repute including the World Health Organization, the International Labor Organization, International Agency for Research on Cancer, Occupational Safety and Health Administration, National Institute for Occupational Safety and Health, and the American Cancer Society agree there is no safe level of asbestos exposure. Most recently, the International Agency for Research on Cancer (IARC) reconfirmed that all commercial asbestos fibers - including chrysotile, the most commercially used form of asbestos - cause lung cancer and mesothelioma. In addition, the IARC newly confirmed that there is sufficient evidence that asbestos causes ovarian cancer and reconfirmed asbestos causes laryngeal cancer. US Surgeon General’s statement specifies: "I urge every American to become aware of the public health issues of asbestos exposure and the steps they can take to protect their health." 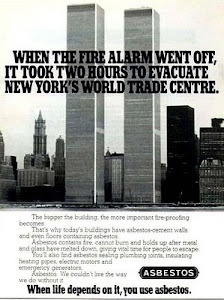 It also underscores the need for a ban, stating, "...there is no level of asbestos exposure that is known to be safe and minimizing your exposure will minimize your risk of developing asbestos-related disease." The US Senate's Resolution urging the Surgeon General to issue a warning, 'as a public health issue, to warn and educate people that asbestos exposure may be hazardous to their health', is indeed a landmark step to prevent exposure and deaths. 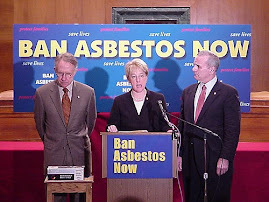 Responding to the statement, a victim of asbestos disease, Linda Reinstein, Executive Director of Asbestos Disease Awareness Organization (ADAO) said, "As a mesothelioma widow, I am pleased to see the Surgeon General's statement, as asbestos has been a known carcinogen for more than thirty years. ADAO is excited to be able to advance educational efforts with his statement, which strongly reaffirms the need to ban asbestos." Notably, In the US, Dow Chemicals Company which refuses to own the manifest liability for Bhopal Gas leak disaster has set aside $2.2 billion to address future asbestos-related liabilities arising out of the Union Carbide acquisition, no Indian industry has done so till date. To read the Surgeon General's full statement, please visit: www.surgeongeneral.gov/news/pressreleases/pr20090401.html. In recognition of 'National Asbestos Awareness Week,' I urge every American to become aware of the public health issues of asbestos exposure and the steps they can take to protect their health. In recent decades, because of concern about asbestos' health effects, production and use has declined substantially. Most individuals exposed to asbestos, whether in a home, in the workplace, or out-of-doors will not develop disease- but there is no level of asbestos exposure that is known to be safe and minimizing your exposure will minimize your risk of developing asbestos-related disease.